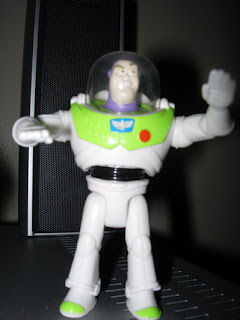 This is a Buzz Lightyear little toy from Burger King. It was part of a child's meal. I don't remember where I got it from- maybe my friend, Cinde Castro...but anyway, it's kind of cool. I have to keep it out of kids' reach, so that it doesn't disappear when I have visitors to my house.